Faelon has hundreds of unique creatures roaming the land including Meol, or normal animals, Zarn(dinosaurs), and Azal(demons). Dreaded Drameol(half demon, half animal), and Ormiryn(devils) also stalk the dark corners of this land and are sent to to Faelon to do the bidding of their masters. Blue Table Painting offers all available Freeblade models. We also offer a highly professional assembly and painting service. 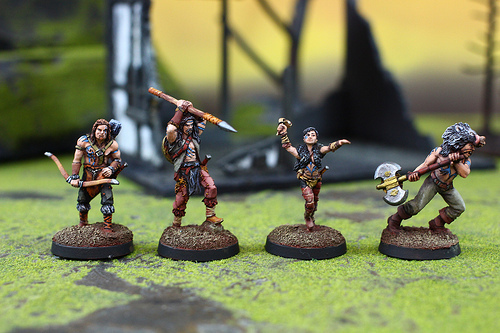 Get your miniatures painted at high levels to ensure the best gaming experience available.